Their statement was in response to a government call for evidence, with other signatories including the Airport Services Association (ASA), Unite the Union, the European Regions Airlines Association, and ABTA – The Travel Association. Tim Alderslade, chief executive of Airlines UK, which represents 13 UK carriers, said: “The problem of disruptive behaviour has progressively worsened over several years, despite the best efforts of the industry to tackle it. “Alcohol plays a major role in such incidents, so it is essential its sale in airports is done responsibly. We do not want to stop passengers enjoying a drink in the airport, and removing this unnecessary exemption will not do that. (See also Pre-flight drinks threat, BTN 3 September). In addition I feel that airlines, LCCs in apticular need to take more responsibility. 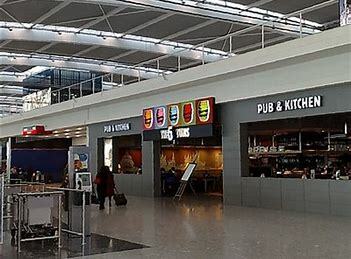 I often fly home from London to Prague on Friday evenings and if I am flying out of Stansted I can guarantee at least one large "stag"group who will no doubt be disruptive for the whole flight, normally drinking duty free spirits from a plastic bottle in between their overpriced in flight purchases! Whenever I see a fellow passenger ask them to calm down they inevitably get a volley of abuse in return, sometimes including racial/xenophobic phrases. The airport experience (getting over/through all those hurdles of security and checkpoints) is so awful that it's not surprising that folks resort to a drink to stay calm. Unfortunately, alcohol can also have the opposite effect — making folks more aggressive. Airports should improve the experience of passengers, and airlines should be taking the lead role in this effort. If they want to make their passengers happy to fly.